Which Drake Song Best Describes Your Mood? There's One For Every Emotion, From Happy To "I'm Feelin' Myself"
Within the past couple of hours, I’ve experienced a widespread range of emotions and it’s not because of the wonder that is human complexity or because today represents an extraordinarily interesting time of the week. Oh nooo, it’s something far simpler: I’ve been listening to Drake nonstop. Everyone knows that listening to one of Drake’s many emotional songs is like flipping through a luxury department store catalog of moods. 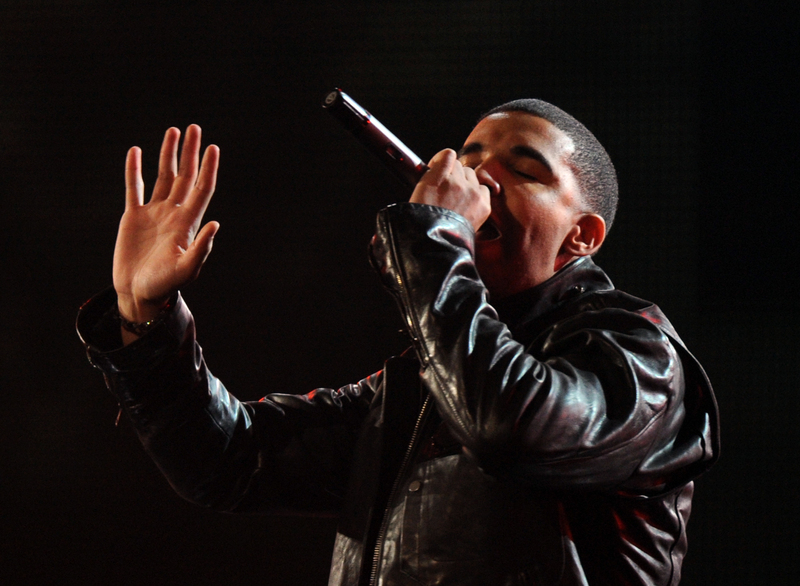 In embarking upon an extended Drake listening sesh, you have before you an endless variety to suit your moody needs, whether you’re angry, heartbroken, cantankerous, experiencing the butterflies of a new love interest or completely over the haters, the assortment has something for everyone. Just so you know (and because there's absolutely no shame in my game), I may be experiencing at least one or more of these moods at the moment. For that, I owe many thanks to all of Drake's songs and albums, including his latest Beyoncé-styled release (that is, he dropped it with no warning late at night), If You're Reading This It's Too Late. Merriam-Webster dictionary defines mood as “a conscious state of mind or predominant emotion,” or a “feeling,” so clearly the term describes so much more than a fabric store on Project Runway. Since Drake’s music has me feeling ALL the feels right now, I’ve taken the liberty of defining moods in terms of Drake songs. Feel free to thank me later. Yes, I absolutely used a Beyoncé song to describe the mood of a Drake song. That is all. Between the music, Drake's venting and his mid-song soliloquy, this song will definitely go along with those soul-searching moods in which one ponders their very existence with questions such as What is life? What am I? and By what circumstances did I arrive at this current juncture in life? You know, the deep stuff. SIGH. We all know the feeling of wanting to be successful but not being able to land an interview to save our lives. This particular mood may be induced by such grand life moments as graduating college, delivering a baby, earning a promotion or even managing to snap a fabulous selfie in less than ideal light settings. When faced with the fear of bungee jumping, skydiving, swimming with sharks or public speaking, proceed without reservation because...YOLO. Because it feels so good to be primped by others for a change. Listening to Drake name-drop his various friends while reminiscing about running through the six with his "woes" totally makes me want to expand the diameter of my inner social circle so that my calls and texts never go unanswered. Am I the only person who randomly creates video treatments in my head and performs them in the bathroom mirror? (I don't care what you say — I know I'm not alone here.) Anyway, if you're listening to this song, it's not too late to pretend like you're the star of a music video.